Evaluating a smartphone isn't easy. Trust me: As someone who spent several years reviewing what seemed like several billion Android devices, I know how hard it can be to cut through the surface-level stuff and get to the root of what really matters about any particular rectangular slab. What I've learned over the years is that we've reached a point where a device's more obvious elements -- the materials, the specs, and so forth -- aren't nearly as important as they might seem. Sure, you want to like the way a phone looks. Yes, you want it to feel comfortable to hold and carry. And of course, any modern-day flagship should be impeccably fast and packing a top-notch camera (especially if you're paying top dollar). But at a certain point, all of that stuff almost becomes a given. (Isn't every flagship phone nowadays the "fastest phone to date" and with the "best camera ever in a smartphone"?) In real-world terms, we're at a time when overall user experience is what really makes one smartphone shine over another. And overall user experience can be a difficult thing to quantify. That notion has never been more apparent than when reading reactions to Google's new Pixel phone, which officially goes on sale and starts shipping this week. 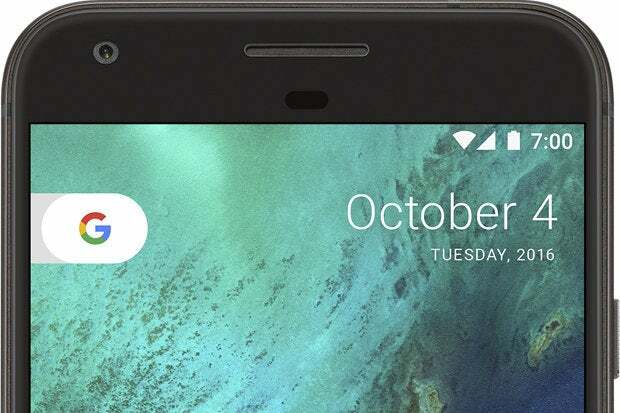 The Pixel phone is the first Android phone ever to be designed, engineered, and distributed solely by Google, and so it's easy to look at it and think: "Okay, then -- what about this hardware makes it so special?" Here's the secret people are missing, though: It isn't the hardware itself that makes the Pixel special. It's the whole package. To get at the true significance of Google's Pixel phone, we need to step back a bit and look at the bigger picture. For years now, everyone's been saying that Google needs to "fix" Android -- to find a way to make sense of the mess its platform always seems to become in the hands of third-party manufacturers. To "lock down" its operating system so phone-makers can't muddy up its software with ugly inconsistencies and bury its stellar services behind their own second-rate alternatives. To do something about the frustrating problem of software updates and companies that care mostly about selling phones and not so much about supporting them after a sale has been completed. Well, guess what, gang? This is it. This is the answer. The Pixel isn't Just Another Android Phone; it's Google "fixing" Android and doing all those things we've always wished it would do. Not only that, but it's Google doing so in a way that's designed to have mainstream consumer impact as opposed to just the niche-level appeal associated with its Nexus phones in the past. The focus isn't the only practical thing that sets Pixel phones apart from their Nexus-branded predecessors. Think about it: Google's Nexus phones always had compromises related to the fact that they were basically just customized versions of some other manufacturer's existing product. How many times over the years did we talk about a Nexus phone that was great -- except for... [insert some hardware-related quality carried over from the manufacturer's base model -- probably the camera]? Last year's Nexus 5X and 6P took baby steps to move beyond that, with Google supplying some of its own consistent components and elements -- including, yes, those related to the camera. And in that way, it probably makes sense to look at last year's final Nexus devices as Google testing the waters for the type of control-claiming we're seeing today. With the Pixel phone, the control is completely in Google's hands. It truly is Google's version of an iPhone -- a singular device that represents the best and most cohesive all-around experience its platform can provide. It's the rebirth of Google's unrealized Motorola dream, only with even more ambition and without all the accompanying complications. So why "fix" Android in this roundabout sort of way? That's easy: Closing off Android altogether isn't a sensible path for Google to take -- and realistically, that'd be about the only other way the company could accomplish any of the things mentioned above. Offering a more closely controlled alternative in which Google itself provides a superior experience, however, is something it believes it can manage. And when it comes to what really matters -- that crazy little thing called user experience -- the Pixel phone is quite clearly in a league of its own. It's essentially a mashup of the principles from the Nexus program and the Google-Motorola era, turned up a notch and put into a premium new package. From top to bottom, from day one of ownership to two years down the road, it's Android at its best -- the way Google intended it to be experienced. That philosophy includes everything from the user interface to the way the software is optimized specifically around the hardware. It includes a meaningful commitment to timely future updates and support as well as the tight integration of complementary Google services -- ranging from the native-feeling bundling of the new Google Assistant in the operating system to the presence of unlimited full-res photo backups to Google Photos from all Pixel phones. It even includes the ability to use the Pixels with Google's own unusual wireless service, Project Fi -- which, if you're anything like me, is a pretty powerful perk. Essentially, it's all the good parts of Google and Android, amplified -- and without all the usual downsides. It's a Google phone, through and through. Now, is all of that worth the Pixel phone's $650 starting price? That's a question only you can answer (and there's no denying $650 is a tough pill to swallow in today's smartphone landscape). What we can say, though, is that the Android experience you'll get from a Pixel is unlike the Android experience you'll get from any other current device. Plain and simple, the Pixel is the only real option for anyone who wants to enjoy Android in its finest form, without any of the typical asterisks. And what we're seeing now is only the very first step -- a likely drop in the bucket of what's to come from this newly motivated Google. In the big picture, thinking forward multiple years and into multiple models and device generations, it's hard not to think that's going to be significant.